We are eminent Manufacturer, Supplier and Exporter of Wire Binder (ET-25). The Binders offered by us are manufactured in compliance with set industrial norms. 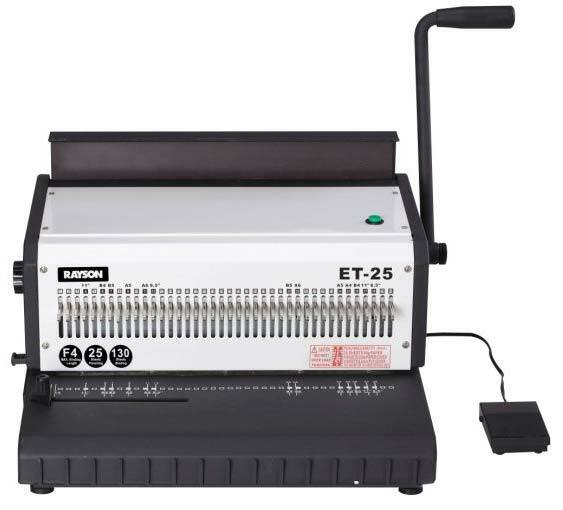 It has electric operation and can easily punch 25 sheets at a time. Our binder comes with 40 free blades. When it comes to bulk orders of the Binders, you can completely rely on us. Buyers can obtain the equipment at competitive rates from us. Electric operation, easy punching up to 25 sheets per time Max.